Award winning novel - available now! 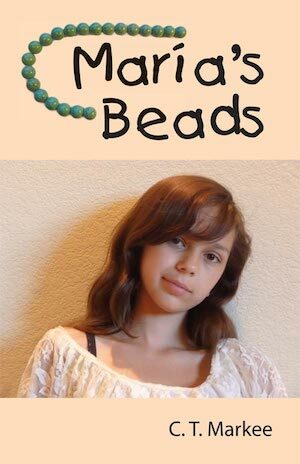 In María's Beads, a mysterious old Mexican woman gives 12-year-old María Cortez beads from the powerful mara'kame spirits, just before she learns that her best friend, Hannah, is deathly ill and could die. What can she do to save her friend when Hannah's parents refuse medical treatment? Based on true events, this story, set in Salinas, Calfornia, follows María's dramatic and courageous efforts to save her friend's life while discovering her Huichol Indian roots and a hidden secret in her family's past. Click on Download PDF to read the intriguing first chapter on your computer. To purchase the $11.95 paperback edition on Amazon, click HERE. Special Kindle e-Book download price $3.99 click HERE. Moonview Press, P.O. Box 455, Fulton, CA 95439-0455.